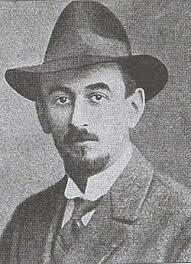 Rabbi Dr. Leo (Shmuel) Deutschländer (1889-1935) was born in Berlin, and was orphaned in his youth and raised in an orphanage in Altona. After a traditional religious education, he studied in universities of Berlin, Warburg, and Giessen, from which he received his doctorate with a dissertation on biblical and rabbinic motifs in German literature; he was later ordained by the Orthodox Rabbinical Seminary in Berlin (founded by Azriel Hildesheimer). During the Great War, he spent time as a German officer in Eastern Europe. In Kovno, he directed a two-year teacher training program founded by a group of Orthodox youth (Tse’irei yisrael) displaced from their yeshivas with the aim of acquiring skills that might help them modernize Orthodox education (the Lithuanian school system Yavneh emerged from this program); Dr. Deutschländer also taught psychology and pedagogy in the program. In 1919, now living in Vienna, he took on a leadership role in the Agudath Israel, and at their 1923 World Congress, he was selected to found and run Keren Hatorah, the educational foundation of the Agudah. In this capacity, he also took on the financial and pedagogical management of Bais Yaakov. After visiting the seminary in Sarah Schenirer’s apartment, Deutschländer set up a summer teaching training program in the Polish mountainside, where more professional German-trained teachers taught, and Agudah leaders and rabbis (including Deutschländer himself) visited and lectured. His publications include the 1918 Westöstliche Dichterklänge: Jüdisches Lesebuch [West-eastern Poetic Songs: A Jewish Reader], the 1923 Goethe und das Alte Testament [Goethe and the Old Testament], and many Keren Hatorah and Bais Yaakov reports, pedagogical texts, and publications. He died in Vienna a few months after his close collaborator, Sarah Schenirer.